Summers during college can be a lot of fun! They can also be great opportunities to setup your career for future success. However, for some students (myself included), it can be daunting to figure out the best college summer vacation ideas. There’s so much to choose from! But what’s the best thing to do? Is it work, intern, travel, or even take summer school? You only really have 3 summer vacations in college – and so you need to make the best of them. And they will go by quick, even if it doesn’t feel like it today! So we reached out to some amazing pros to figure out the answer to our question: what do you think the best college summer vacation idea is? Here’s what 21 experts have to say are the best ways to use your college summer vacations. Many experts are firm believers that you should get a job during your college summer vacations. I’m in this camp, and think you should consider getting a job all during college. There is no substitute for work, and many of the young millionaires I’ve interviewed got their start during summer jobs. Find a job in sales, regardless of how low level. Selling knives, home security systems door to door – anything that has you interacting with potential customers and trying to make them believers is better than any office job you can get. Students should find work that shows interest in future career or specific skill development. This requires knowing what you want to do professionally, but it will get you better career placement at graduation. It is easier to demonstrate meaningful progress while pursuing jobs your senior year and after graduation when you have relevant work experience. If you chose the company carefully and do great work, you can even land a future job offer before you go back to school. Check out the 30 Best Summertime Jobs For Teenagers. For some students, getting an internship with a company may be a better fit than working. Many technical jobs and science jobs don’t hire a lot of students, but offer amazing internships during the summer that can help students get their feet in the door after graduation. If you’re considering these ideas, check out our Ultimate College Internship Guide. Summer is a great time for college students to gain real life work experience and hone professional skills through jobs/internships. However not all summer jobs/internships are the same. Here are some quick tips to make the most of a summer job/internship. Plan for success. Is the employer prepared for an intern or young professional? Look for meaningful work duties, tangible projects, opportunities for accomplishments, and access to a mentor. Professional skill development. Will this role introduce or expand a desired or highly transferrable skill set? Seek out projects with “take away” experience. Paid or unpaid. It is always preferable to be paid for work; however, there are legitimate and meaningful unpaid internships. If you can afford to take an unpaid internship, make sure that the role meets the federal criteria for an unpaid internship. * Primarily – will this qualify for academic credit OR as an intern will you get more from the role than the employer from the “free” labor? Engagement. Will you be committed and engaged? The manager AND you, need to be active throughout the summer for the best result. Summer jobs and internships result in exceptional career networking when the employee makes the most from the experience even after the role has ended. Evaluations. Well thought out summer jobs and internship roles/programs should include performance evaluations. Performance measurement conveys what is expected and quantifies how a manager views abilities and results. As an employee/intern ask for a feedback if evaluations are not offered. Summer internships are definitely the way to go. We recommend them because, in a good number cases, a reliable intern can land an eventual job placement with the sponsoring company. Even if that’s not possible, the intern walks away with the invaluable experience of working for a team and the networking contacts that comes with it. Many students balk at internships because, for the most part, the gig is an unpaid one. If money’s an issue, we encourage our candidates to spend the summer working both an internship and a part-time job. Doing so clearly identifies the student as a go-getter to future prospective employers. It’s an outstanding way to stand out from other, seemingly less motivated, students. Relevant internships are the price of admission for most entry-level jobs. College juniors and seniors must focus on resume building, not unrelated jobs or travel during summer break. If you’re hell-bent on visiting Europe or Tibet, make sure the trip is tied to an academic or professional program that will relate to your career goal. Many employers today expect to see two or three solid internship experiences on entry-level resumes. College students should always immerse themselves in learning opportunities that will prepare them for the competitive global workplace. One of the most important documents you will ever have will be your resume, as it will tell the story of who you are before many employers meet you. It should be filled with items that differentiate you from the massive number of college students currently entering the workplace with degrees. I spent 12 years of my life recruiting and preparing college students for the transition from college to the workforce. The number one weakness Corporate America said they faced with incoming talent was the “inability to effectively communicate” on a professional level. Their collegiate environment did not afford many opportunities for the development of this most critical skill. They interact mostly with peers and professors, and though this is great for the academic environment, the ability to convey an idea and generate a response that leads to profitability is not an outcome measured on the college campus. It is however the key to corporate advancement and a prosperous career. Most experiences that college students have do not provide the true “crucible of learning” that forces them to fully develop their corporate skill set necessary to be proficient and productive in the workplace. Internship opportunities are good, but only if they are giving the college student the opportunity to gain exposure to experience that is helping them discover areas where they will have a skill gap and also broadening their exposure to make them a well-rounded individual. I believe that the best use of the break is to do an internship or even volunteer. This provides a variety of benefits: actual hands-on experience to go with the years of schooling; a chance to build a network; develop a reference. I think it makes for a more well-rounded graduate when they do this. College kids that are seriously preparing for a career should either try to get an internship at a company that they would ultimately like to work for after college. If that’s not available then they should try to find a job in their desired field. Both would be a nice addition to their resume. The best way to spend a summer break in college is doing an internship. Internships are no longer “nice to have” they are essential to get hired out of college. Internships can offer real hands-on work that give students experience in the field and teach them procedures they cannot learn in the classroom. If a student wants to add travel to their resume, there are many programs that allow students to intern abroad. Likewise, if they need the money they should seek out a paid internship. If they cannot get a paid one, they should consider interning part time and working part time because internships are essential to have in this day and age. Virtual internships are another option because they can save money on a commute and students can work from home. When I started at MIT, I planned to study Electrical Engineering, so that I could pursue a full-time career in that field. The internship experiences were the single most important element in helping me understand what I actually enjoyed and the ways I could leverage my degree in different fields. I did six internships during college (using winter and summer breaks) at different groups within Fidelity Investments in Boston, W.P. Carey in New York City, Tata Consultancy Services in Mumbai, and J.P. Morgan in New York City. The internship at J.P. Morgan led to my full-time role in Technology Investment Banking. Having had these real-life experiences jump started and accelerated my career trajectory. After securing my full-time job, that’s when I did the traveling! 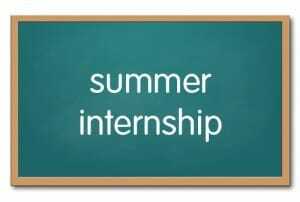 Most students need to use the summer to gain relevant work experience. 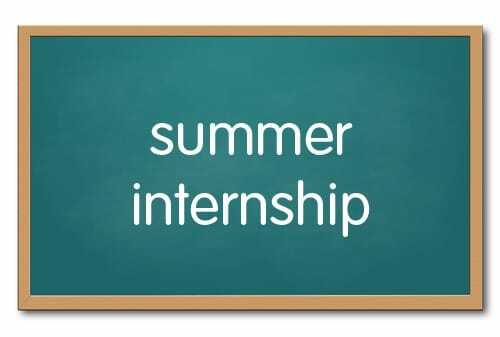 In this day and age, when the entry level job market is competitive it is critical that students be strategic about how they use their “free time.” If they have a summer job that is money generating make sure there are opportunities to add an “internship” in their chosen field. Even if it is one day a week, the resume value of that experience is exponential. For those who are entering fields which require international experience, doing a short term program in another country is also a great resume builder. 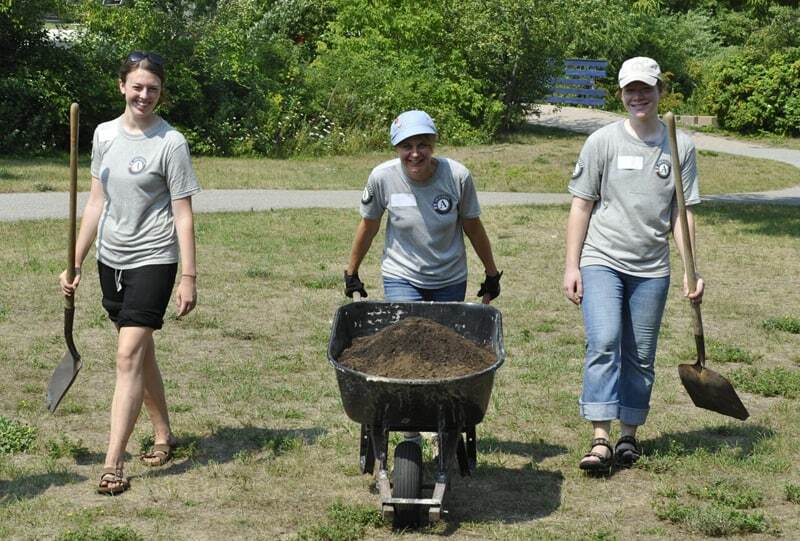 Organizations such as United Planet in Boston, MA, offer opportunities to work in fields such as global health, teaching and sustainability. These international experiences are essential for students entering, international business, non-profit management, social services. In this global economy, an international experience can give a student the competitive advantage. Volunteer work can also provide an amazing experience for college students, and can look great on resumes. Plus, volunteer work doesn’t have to be boring – some volunteer programs can take you around the world. The Service and Conservation Corps can provide an excellent experience for college students who are looking to gain job skills, experience working with others, spend time outdoors, and have fun. Approximately 26,000 young people from 16-25 enroll in Corps programs nationwide annually, and about a third are in college or are college graduates. 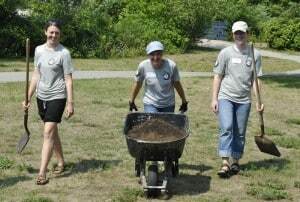 Working in crews, participants do service projects like maintaining trails and campgrounds in national parks, building community gardens in neglected urban spaces, weatherizing homes to make them more energy efficient, and providing disaster relief. Mentorship and development of leadership skills is a big aspect of what we consider a meaningful, if not “transformative” experience, both important for careers and as resume-builders. Corps also emphasize the acquisition of workforce training, education, and credentials for participants, which are also useful for college students who are looking to boost their resumes with tangible skills and the credentials to prove it. In fact, this past year 12,598 Corps-members earned certifications and credentials. I know a lot of people who travelled during college summer vacation, and it really helped them become more grounded in life. Remember, you do have three summers in college, so this could be a great option to use for one of them. 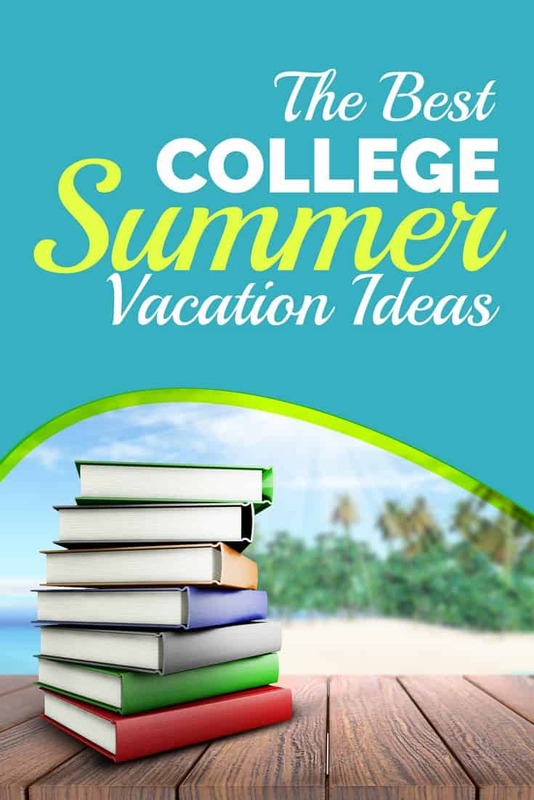 Here are some college summer vacation ideas that make sense. Plus, if you use travel credit cards in college, you could take these vacations for cheap or free! 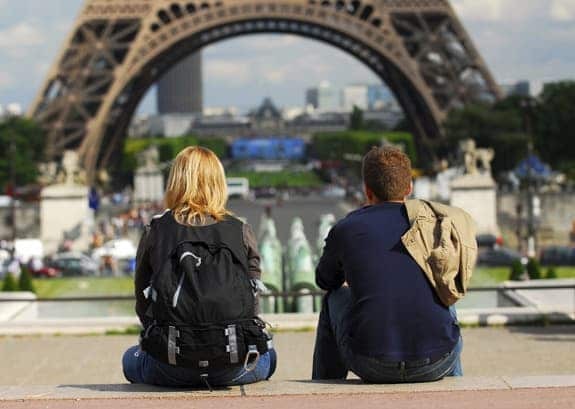 Traveling is a GREAT option for the summers, and one many people (ahem, parents, ahem) undervalue. The truth is, we’re living in a world that is getting more global/flatter every day. And having the opportunity to get out and experience new things, new cultures, and new people is invaluable. It is amazing how much people can grow from experiences like that, and how much they learn about themselves through the process of meeting people that are totally different from them. Having that new perspective can change someone in a profound way, and that can really help them shape who they become in the future. Even more, when everyone else is working and interning… travel is a totally unique experience, and something that can set them apart when it comes time to apply for jobs or grad programs down the road. The truth is, it doesn’t really matter *what* a student does in the summer. What’s most important is that they spend their time in activities that allow them to develop soft skills: critical thinking, creative thinking, leadership, interpersonal skills. Those are the things that many students miss out on in their traditional education, and those are also the things that are most important when it comes to being successful in college and beyond. So it’s important that they put themselves in situations whenever they can (be it the summer, or even outside the classroom during the school year). And that can happen in an internship, in a job, while traveling, while volunteering, while taking summer classes, etc. Some experts are all about college entrepreneurship. I have to say, this is a great idea as well, and some of the most successful college entrepreneurs got started during summer vacation. The best thing a college student can do during summer break? Start a company! What better time could there be to utilize all the energy, ideas, and connections from college? You have the opportunity to shape your own career future by starting a new company. And the penalty for failure is so low. Most employers would love to hire somebody that had the ambition to start their own company in college, even if that company didn’t last. My advice is simple: Start a business. Go down to City Hall, pay $120, and open a sole proprietorship or a partnership, and cut grass or sell lemonade or code. It doesn’t matter so much what your business does, or even if it succeeds or fails, as that you get the experience managing all facets of a business. Older people respect you more, and you develop a sense of competence that nothing can match. Sometimes taking more classes can make sense. This could be summer school, or it could be a totally different type of education experience. Working or an internship is always a great way to gain experience and to also get a foot in the door at a company or even in an industry in which you want to have a career. However, that’s not the only thing. Finishing or continuing your education is also an integral part of career development. In addition to learning new skills, it’s a big plus when hiring managers see that you are someone who is committed to accelerating or furthering your education and bringing added value to the organization. Summer session schedules are usually very conducive to balancing work and taking courses. Experiencing new places and cultures is always beneficial, but if it’s just a vacation, don’t expect it to give you a leg up when applying for a job. The main advice I would give to college students is: Students should view education like any other significant investment – objectively and rationally. As a society, we’ve conflated the four+ years of college education with a ton of other things: school sports, costly campuses and their amazing recreational facilities, social clubs and coming-of-age rites. These are great and valuable experiences, but they also come at a very high-cost. Bootcamps like Fullstack Academy (and others) are taking education back to it’s core – real interactions/relationships between teachers and students, engaging projects that stir a student’s passion for learning, real-world knowledge that is immediately applicable in the job market and a relentless pursuit of career outcomes. At a typical cost of several thousand dollars for full-time 9-5 instruction, it’s cost is much lower than colleges (if you compare using instructional hours the ratio worsens). One of the best ways to spend summer break is to take an online course! There are a ton of online courses on a variety of topics that are free and easily accessible. Online courses are a great way to learn something that you won’t learn in the classroom or even something that’s of interest to you. Students who are facing difficulty financing their college education – especially those who attend pricey private schools – may find it worthwhile to take additional courses during the summer at a cheaper institution. Most colleges and universities (even some of the most selective) will accept a relatively substantial amount of transfer credit from other institutions. Usually, the last 30 credits or so need to be taken on campus, but this should not affect most summer work. Students can live at home during the summer, take courses at their local community college for a fraction of the price of their home institution, and graduate early. If attending a typical university that requires 120 credits to graduate, a student could take ten courses over two summers and shave off an entire school year. The savings is tremendous and will certainly outweigh the earnings of any summer job. I know quite a few students who have used this strategy and been quite pleased with their decision. Working or completing an internship are both great ways for college students to make the most out of their summer break, but not the only choices. One option a lot of students do not consider is summer school. Many universities offer classes over the summer. This is a great way to save on costs and time (attending every summer, many students can complete a four year degree in three years). Some of the best advice came from these experts, who don’t want students to focus so much on one goal, but rather focus on the experiences that will make them better as a person. Check out this amazing advice. Summer is the time to develop resilience and confidence. Students should ask themselves, “When is the last time I did something for the first time?” Summer break is the perfect time for students to push themselves into new experiences, skills, and knowledge that will prepare them to be flexible, adaptable, and resilient in the future. During college, simply doing more of something that you already know how to do is not necessary. Developing new skills adds depth and breadth that develops resilience to succeed in the ever changing job market. New experiences lead to new people. The more people you know, the more opportunities will be presented to you. Pushing through the unknown develops confidence that you can succeed in changing situations. These experiences can be full-time or part-time; paid or unpaid; serious or fun. The key is to do them! Students spend too much time trying to do the ‘right’ thing during summer break. What older professionals know is that, in the long run, there is really no way to make a mistake. Every experience matters. The key is to be aware of yourself, your needs, the opportunities, and to make the best decision you can. You are only making one choice, about one experience, that lasts for less than three months. It is a blip on your personal and professional timeline. So do something that is meaningful to you! What did you do during your college summer vacations? Did you work, travel, get an internship, or something totally different? Did it prepare you for the “real world” of work?